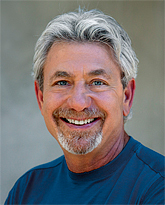 Louie Schwartzberg has spent his career mastering the art of filmmaking in his quest to uncover the mysteries of the living universe, the secrets of nature, and the heart of the human soul. He is unique among filmmakers with his focus on capturing the rhythms of the universe, traveling through portals of time and space revealing what is too slow, too fast, too small, and too vast for the human eye to see. Louie taps into those rhythms that turn people on to the natural beauty that surrounds us. This beauty is nature's tool for survival, because we protect what we love. His work brings us both mindfulness and gratitude. Louie's most recent feature film is Wings of Life for Disneynature, narrated by Meryl Streep. As a storyteller, his TED talks have garnered over 32 million views. His next film, Mysteries of the Unseen World, a 3-D Imax film with National Geographic, will be out later this fall. Using imagery that celebrates every facet of life, mood, and emotion, his latest project, Moving Art™, transforms the home viewing screen and mobile devices into an emotional-immersive user preference experience. Learn more at movingart.com.